And just as the US is credited with contributing to the rise of ISIS, according to Walberg "the imperialists had a strong influence on the development of political Islam during Great game II (empire against communism) encouraging Muslims opposed to theism/secularism and their nationality and/or socialist offshoots to resist leaders such as the Syrian and Iraqi Baathists and Egypt's Nasser. 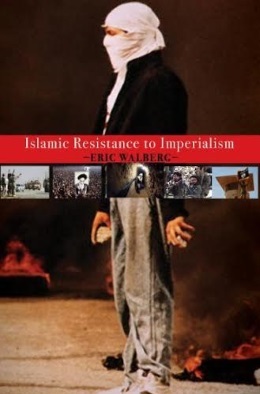 This resistance caught fire in the 1980s as Afghans were catalyzed to oppose the Soviet occupation""
In Part I Walberg sets out a theory of political Islam, first confronting "Political Spirituality and Jihad", then the "Sunni Failure in Egypt" with theoreticians Banna and Qut'b, and finally Shia Success in Iran. Part II traces "The Expanding Parameters of Political Islam", reviewing the theory of violence against invaders as opposed to Bin Laden's violence in the Imperial Center, Zawahiri's violence against client Regimes, the legacy of Al-Qaeda, Terrorism before an after 9/11. In "The Perils of Cooperation" Walberg reviews recent history in Saudi Arabia, Qatar, Pakistan and Turkey, four very different examples, turning then to "The Perils of Implementation", which includes a much longer list of countries that have flirted or invested in Islamic power. Finally he considers the Return of the Caliphate, Color Revolutions and the Arab Spring, to conclude with the Twenty-First Century Umma's Striving for a New Modernity, Muslim, Christian-Jewish Understanding and Post-materialism. Western economies for nearly 100 years have been sustained and built on cheap fossil fuel from the Middle East and Persian Gulf. While the vast majority of people in the Muslim world remain impoverished, their tiny ruling elites, sequestered into statelets, have enriched themselves by aligning with Western powers and allowing them to exploit the energy and mineral resources of Muslim lands. 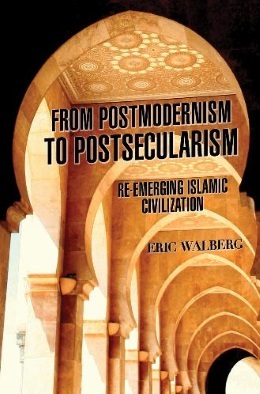 Walberg notes that "traditional Muslim scholars, the ulama, were not much help. Confronted by invaders, and faced at home with movements which sought to emulate the West, including nationalists and secularists, they retreated, shutting down debate about how to extricate the Muslim world from the grip of empire." The new economic order, embedded in the legal systems being fashioned by the occupiers, was resisted by both secularists and Islamists. Marx et al clarified the underlying problem: 'the law' in each land was being fashioned to meet the needs of the economic order, where all economic activity was condoned as long as it is carried out in conformity with 'the law'. it is this enforced ascendancy of economic power over the popular political will that makes political Islam necessary today, after the defeat of the communist resistance to capitalism. Nothing short of a 'new law' will do, where a code of ethics is embedded. The communist revolutions for the most part failed to achieve this and Islamists became the main force of resistance to imperialism by default. With this notion Islamic Resistance to Imperialism rejoins the growing global movement known as post-modernism, which is both cultural and economic, a rejection of senseless materialism based on the notion that 'more stuff is better', and a realization that community is better than rampant individualism that leaves scope for a religion whose God demands above all that humans treat each other with ''respect, justice and dignity'. Why would this ability of the brain evolve, if there were no underlying truth to it? The most sensible explanation is that indeed religion is the living embodiment of moral truth which helps people align themselves with the moral axis of the universe (and thereby survive). This is possible without religion, but requires a highly developed moral sense. 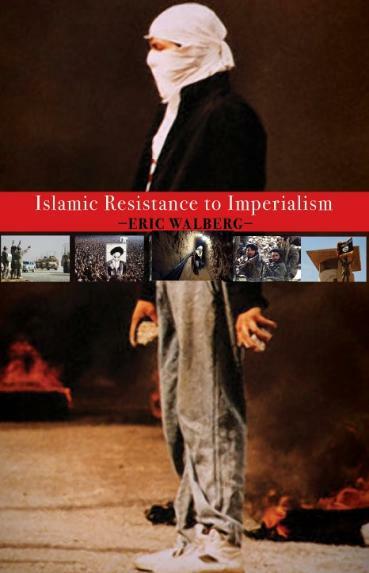 In the second part of the book, after reviewing the contributions of major players and in particular the various Sunni/Salafi movements, Walberg chronicles efforts to achieve an Islamic umma country by country according to two rubrics, cooperation with the empire and efforts to create an islamic state, in which the Iranian Revolution of 1979 is of course given pride of place. 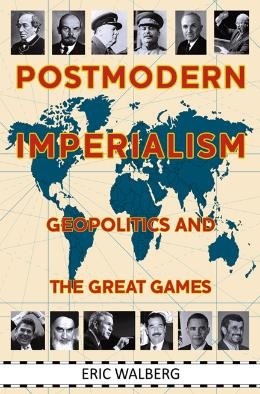 (Walberg documents its ideological background extensively in Postmodern Imperialism: Geopolitics and the Great Games (2011).) No less significantly, he clarifies the oft confused similarities and differences between Hamas and Hezbollah, describing the Islamic State project, and concluding with efforts to arrive at a caliphate that would unite Sunnis and Shia, thus freeing the Middle East of its main source of turbulence.